Actress Margot Robbie says it’s time femme fatale superheroes Harley Quinn and Poison Ivy have a lesbian relationship in a movie. The two badass superheroes had a romantic relationship in a 2015 “Harley Quinn” comic book. Photo: DC Comics. Actress Margot Robbie says it’s time femme fatale superheroes Harley Quinn and Poison Ivy have a lesbian relationship in a movie. In an interview with PrideSource, Robbie, who played Harley Quinn in “Suicide Squad” and will reprise her role in the upcoming Birds of Prey flick, talked about the characters’ relationship. A queer, female-led superhero film would be awesome and groundbreaking, especially because it hasn’t happened yet. 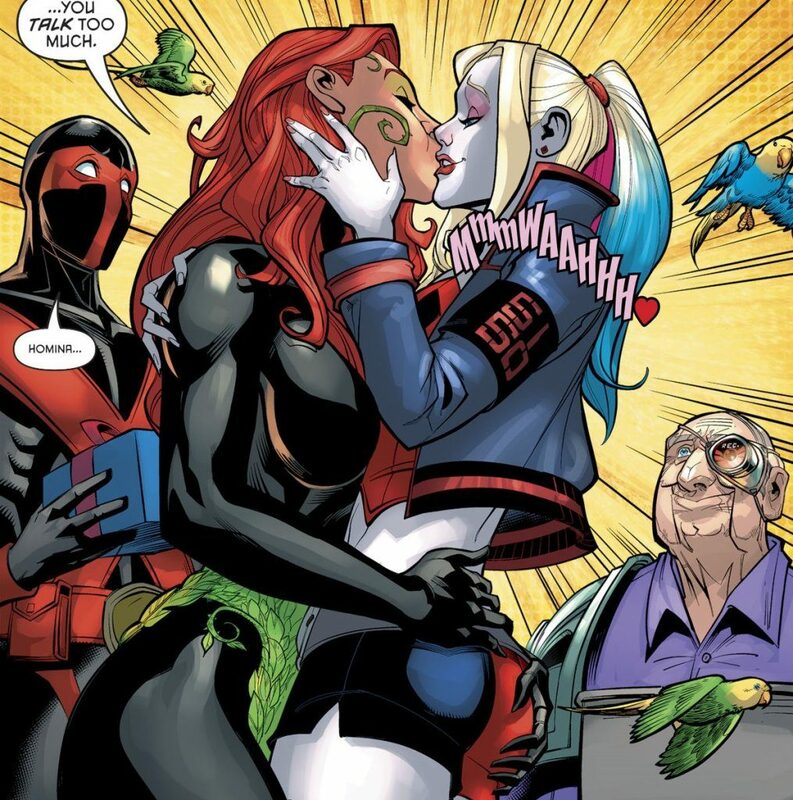 The Harley Quinn-Poison Ivy relationship has been discussed since 2015. At that time, the two badasses kissed in a romantic embrace on the cover of the Harley Quinn comic book. While queer-superhero visibility has yet to come out of the closet at the movies, representation on TV has improved by leaps and bounds. For example, Ruby Rose will be portraying lesbian superhero “Batwoman” on The CW. In another historic first, “Supergirl” will feature a transgender superhero. Everything you need to know about this weekend's Latinx queer art & film festival in L.A.